In marketing, “attribution” refers to a set of user actions that contributes to a desired outcome, (i.e., a conversion) and assigning a value to each of these events. It helps you understand which combination of events in which particular order influences people to engage in a desired behavior. It proves your content is working. It helps marketing align with sales, determines your budget, and can improve your content quality. But what does marketing attribution have to do with content marketing? Marketing attribution is integral to the success of content marketing because the vast majority of touchpoints (instances where potential customers interact with your brand in some way) happen online. They occur when someone reads your blog post, e-book, or infographic, or watches your video. Marketing attribution models enable content marketers to more accurately understand how their content is influencing buyers, and to get full credit for their work. However, marketing attribution is a topic of lively debate among marketers. Do you give credit to the content that initially generated a lead? Do you give credit to the content the lead responded to before the lead became an opportunity? Or do you give credit to the content that influenced the lead right before a deal was won? You might answer that they all deserve credit in one respect or another, which is true but not particularly helpful. Should they all get the same credit? Should the credit you assign your teachers be the same as the credit someone else assigns their teachers? Similar questions plague many marketers when figuring out their marketing attribution strategy. According to Bizible, 74.6% of marketers have an attribution model. Of those, 55.2% use a single-touch model, and 72.4% chose a model because it’s the easiest option or they didn’t know why they chose it. This article offers a better idea of what marketing attribution is, the kinds of marketing attribution that exist, which model is best, and tools that can help with marketing attribution. Marketing attribution is the practice of determining the role that any given channel plays in informing and influencing the customer journey. Marketing attribution considers all the touches a customer has with marketing before buying. The models can be separated into two overarching types: single touch and multi touch. Single-touch models give all the credit to an individual instance. They are simpler to implement but less accurate. Multi-touch models divvy the credit among several instances. These are typically more accurate, but also more complicated to implement. Here are some of the most popular kinds of attribution models, along with their pros and cons. Single-touch attribution models are best for smaller companies with simpler marketing and sales systems. If your sales cycle is shorter (or you don’t have a sales team), you have a smaller budget, or you only use one or two marketing channels, then a single-touch attribution model might be the better option. In first-touch attribution, all credit for a lead is given to the first touch taken by a lead. For example, if a lead is initially generated after filling out a form to download an e-book, that e-book gets complete credit for the sale. In this last-touch attribution example, all credit for the sale goes to the webinar. 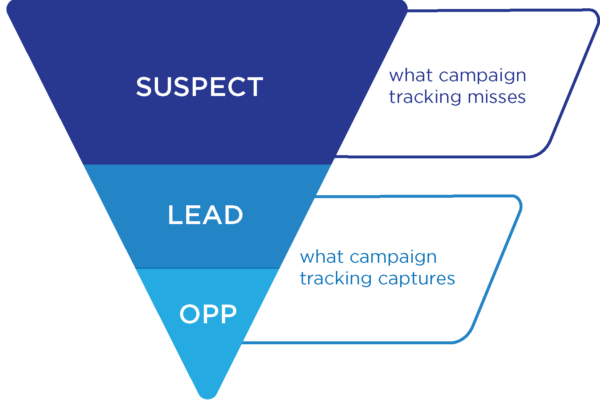 In a lead-conversion model, all attribution goes to the content that converted the lead. The last non-direct touch model ignores direct traffic to content when attributing last touch. Multi-touch attribution models are best suited for companies that leverage three or more marketing channels, have a longer sales cycle, or have a bigger marketing budget. If you use a customer relationship management (CRM) tool that allows you to automate multi-touch attribution, it’s probably the best choice. Linear attribution gives credit to all interactions and touchpoints of a buyer throughout the sales cycle. In this example, an e-book, newsletter, badge scan at the trade show, and a webinar all receive equal credit for the sale. Rather than giving equal credit to all interactions, a marketer can assign weights to different interactions. In the example, the marketer has given greater credit to the first touch and last touch, and less credit to the intermediary touchpoints. When to use it: Extended sales process; need to capture elements of first- and last-touch modeling as well. Time decay is a weighted model that gives less attribution based on time away from purchase. A weighted multi-touch model, U-shaped/position-based gives lead conversion more credit than other steps. The W-shaped/position-based model gives more credit to first touch, lead conversion, and opportunity creation. How are marketers supposed to use marketing attribution when multiple leads came from a single account? Account-based attribution attempts to answer this question. If multiple leads at a company are consuming content, their interactions with content are counted toward the sale. Varying weight is attributed to each touch depending on the role a lead played in the purchase. The ideal model mainly depends on your sales cycle. More accurate attribution models are more difficult to execute. However, as the technology advances, a clear winner in attribution-model efficacy is emerging. Algorithmic attribution models are rated most effective by marketers. These models use machine learning and other artificial intelligence to compute the probability of conversion across marketing touchpoints. The most accurate (and complicated) model is not necessarily the best fit for everybody. For instance, organizations with a short sales cycle won’t benefit from the increased accuracy of algorithmic attribution – a one-touch model suffices. For those who prioritize the accuracy of the model – and are willing to spend – algorithmic attribution may be the right choice. For all its benefits, there is one major drawback to marketing attribution. It’s difficult to measure all content-consumption touchpoints, most notably content that is viewed before someone fills out a form for gated content and becomes a lead. We now have the world’s consumer information at our fingertips. This is why there is now a consensus among many analyst firms that the majority of a prospective buyer’s decision-making process – perhaps 70% – happens before they ever fill out their first form or speak to a salesperson. The most popular means for tracking customers during the sales cycle in B2B companies is via the CRM, typically using Salesforce campaign influence tracking. But this method only measures touchpoints after someone fills out a form and becomes a lead, which only happens after the majority of the buyer journey has been completed. Certainly the vast majority of content that marketers produce and readers consume is ungated, and therefore, unmeasured. While measuring and awarding attribution across multiple content formats and channels is challenging, it is now possible with various emerging technologies. But to summarize, a one-touch attribution model will suit most businesses with a short sales cycle. Businesses that sell to enterprise and those with longer sales cycles will find that a multi-touch attribution model better suits their needs. And all content marketers should prioritize technology that allows them to track the ungated content that makes up the majority of today’s buyer journey. Want a daily or weekly touchpoint to expand your content marketing skills? Subscribe to the free CMI newsletter. Editor’s note: We appreciate Curata’s support of Content Marketing Institute as a paid benefactor. This article was reviewed and edited independently to ensure it adheres to the same editorial guidelines as all non-sponsored blog posts.